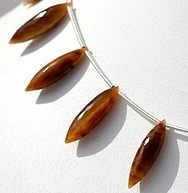 History of Tiger Eye Gemstone dates back to ancient times when it was used as an amulet for protecting the user from an eye of evil. 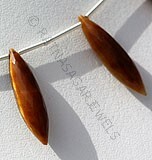 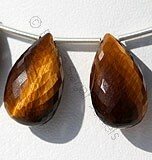 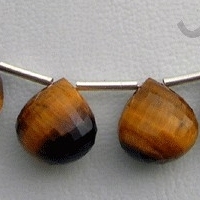 According to historic records the region of Western South Africa had abundance of Tiger Eye Gemstone in 1880 however, apart from South Africa it is also extracted in Burma, Brazil, India, USA and Western Australia. 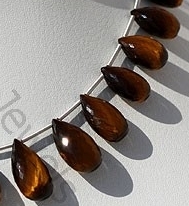 As the name suggests color of gemstone is similar to an eye of a tiger that is yellow brown to golden color followed by bands around it, which further enhance the beauty of stone. 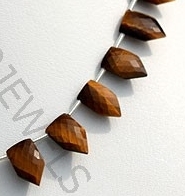 With the hardness of 7 on Mohs scale the stone consists the deposits of quartz and crocidolite which a fibrous blue mineral. 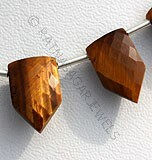 When these minerals meet each other inside the earth they form rich fluids of hot minerals. 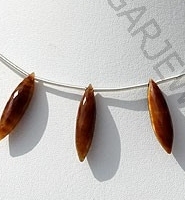 The mixture of two crystals along with crocidolite fiber generates the Chatyancy effect which is known as Tiger Eye Gemstone. 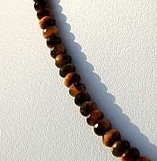 As mentioned above the stone was used as an amulet in ancient times for protecting the user from the impact of evil eye. 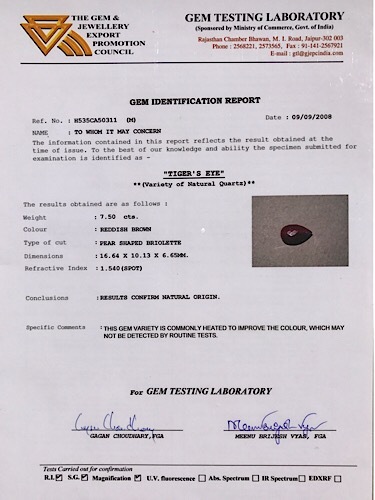 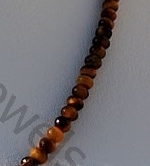 Apart from this it is also believed that use of this stone brings good fortunes to the users, boosts his self confidence, and brings clarity in his thoughts. 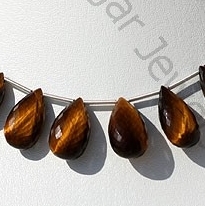 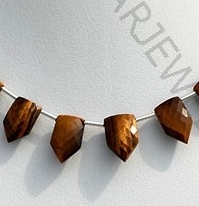 Ratna Sagar has different types of Tiger Eye Gemstone in different shapes including Heart Briolette, Faceted Rondelle, Flat Pear Briolette, Pentagon Beads, and Dew Drops Briolette. 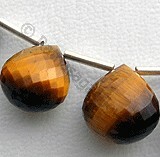 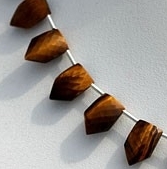 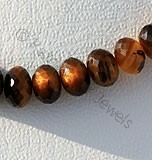 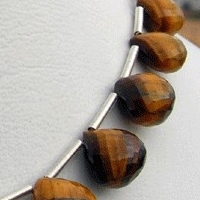 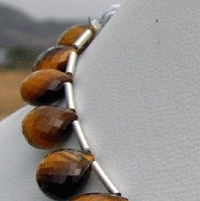 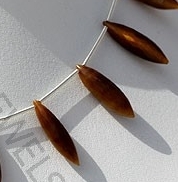 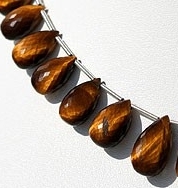 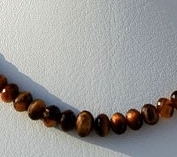 Natural Tiger Eye Gemstone Beads possess property of opaque, silky luster and are available in yellow-golden brown stripes with micro flower cut, Heart Briolette Shape.